Joey Bada$$. Photo by Leon Laing. 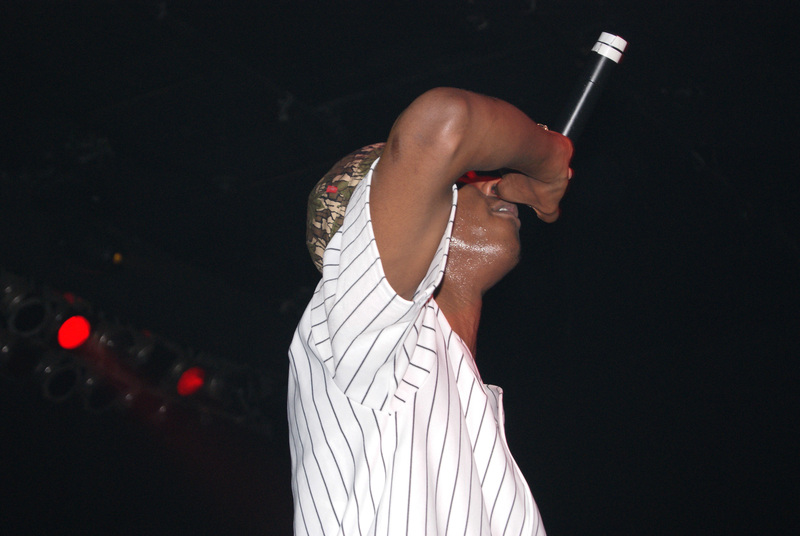 That’s the release date for Joey Bada$$’ highly anticipated debut album. Joey planned on releasing his album, B4.Da.$$ (pronounced before da money), this year. Now it’s slated to drop on his 20th birthday. As a protégé of Q-Tip, Questlove and J. Dilla, one could call Joey a Soulquarian. In the beginning of the trailer for B4.Da.$$, the rapper and Pro Era member Powers Pleasant ride skateboards, a visual that mirrors the cover of Joey’s classic mixtape 1999. The cinematic album trailer and No Regrets short film show that music isn’t the only medium on Joey’s artistic palette. The release date of Capital Steez’ profound mixtape AmeriKKKan Korruption also had a personal connection. The late rapper, who liked the number 47, dropped his mixtape on April 7, 2012 (the seventh day of the fourth month). When Joey is not prepping for his album release, he’s donating instruments to his alma mater. 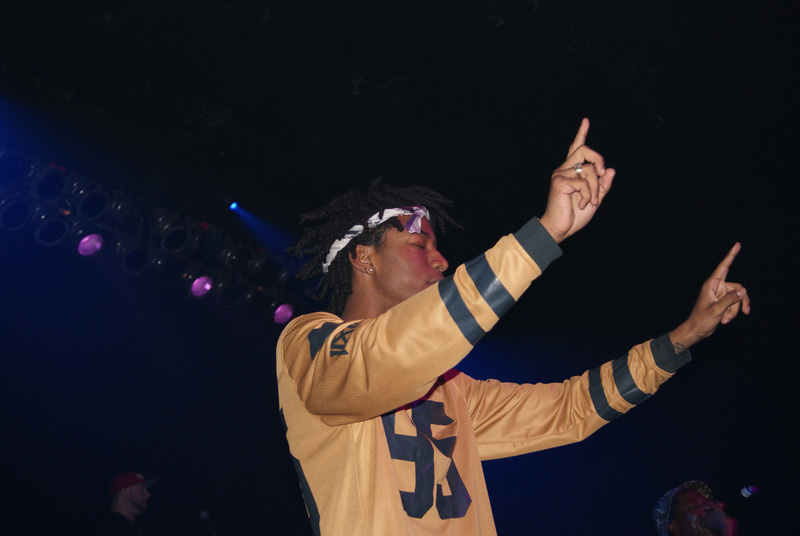 Joey and his Pro Era collective performed at Philly’s Theatre of Living Arts on Nov. 7. The rapper, a ’90s revivalist, came out spitting bars to Grand Puba’s “I Like It (I Wanna Be Where You Are).” When he paid homage to Steez, DJ Statik Selektah played Pete Rock & C.L. Smooth’s “They Reminisce Over You (T.R.O.Y. ).” Then the DJ/producer segued into Pro Era’s “Like Water.” The Pro Era frontman also asked for a moment of silence for Steez. During the concert, Joey explained another reason for the album’s delay. “They gotta clear the samples and all that,” he told the crowd. He performed “Big Dusty,” “Christ Conscious” and “Escape 120 (Fly Away),” all joints from B4.Da.$$. “Waves,” “Funky Ho” and “Amethyst Rockstar” were other songs from the setlist. Pro Era interpolated the chorus from M.O.P.’s “Ante Up” in “Amethyst Rockstar.” Members of Pro Era and California-based MC Vince Staples opened up for Joey. 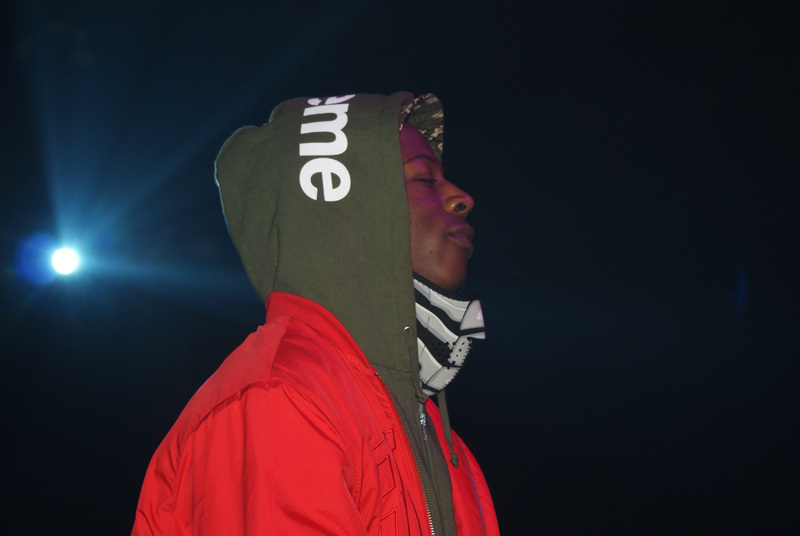 Like newcomer Bobby Shmurda, Joey comes from a Jamaican family and reps Flatbush, Brooklyn. With his quick ascent to stardom, Joey is running tings. Dyemond Lewis. Photo by Leon Laing.